can find avatars, signatures, and side icons! rule that should be followed! + Please let me know if you use something! + Credit is appreciated, but not required. + Feel free to ask what fonts I used or how I made something. - Do not tamper with my graphics without consent, remove credits, or claim these as your own. - I will not take a request involving fan artwork if credit to the artist is not given. 1 nov. - added some avatars and a signature! will possibly be adding more later today/tonight! 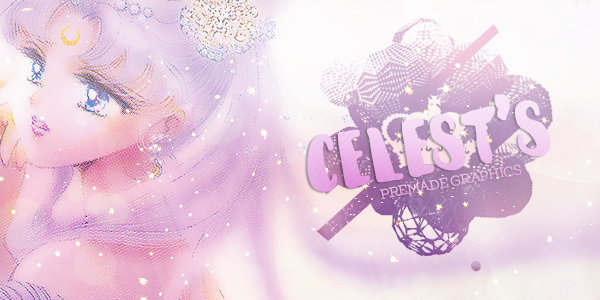 Celest your graphic skills are awesome ! I may use these sometime in the future ! SO CUTE! Smooth animations, fitting coloring; perfect! Thank you I'm glad you enjoy them!! I really love the signature! That being said I strongly suggest to be careful with the images you choose, this one in particular (unless is the effect you were looking for, if so disregard this feedback) looks very grainy/un-sharpened and I feel the image got lost in the graphic. I know SM pics can be hard to work on sometimes but try to use those scans that are bigger, it makes easier to hide that grainy effect.